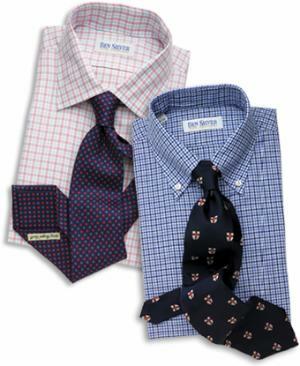 Plain patterns have their uses and time, but from time to time, the sophisticated dresser would find himself changing gears. 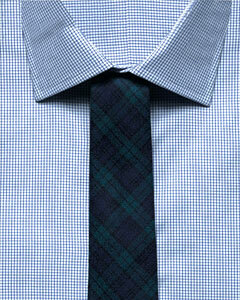 Mix patterns such as two stripes or two checks, the size of each should be as different as possible. 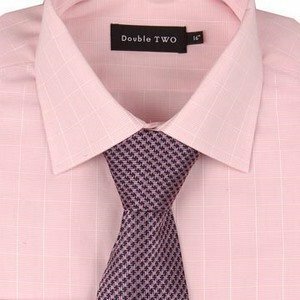 Otherwise the similarity will confuse the on looker and blur the boundaries between the different garments such as the shirt and tie. This is undesirable. 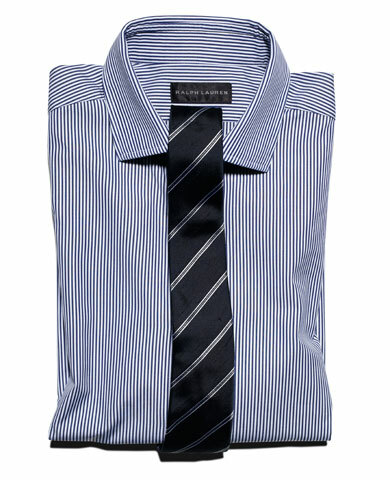 Another posititve example of striped ties on a striped shirt. Note the difference in scale. 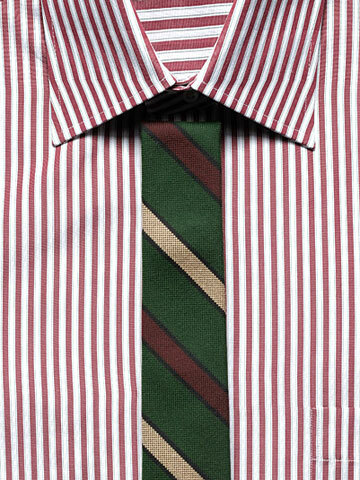 The perfect combination of two stripes. 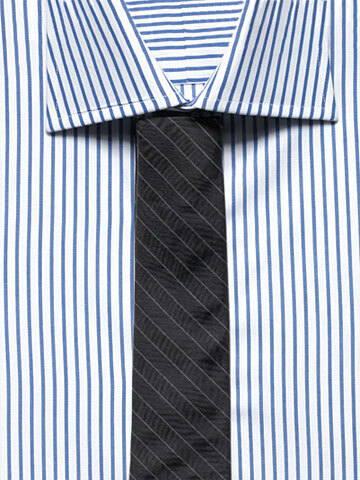 The stripes are of sufficiently different scale, while the contrasting colors also bring out the individual flavours of the shirt. Take note however that low contrast men should stay away. This combination is likely too strong for your skin and hair tone. Ensure visual compatibility by varying spacing, allowing people to easily distinguish one from another. Here is a lesson in how not to mix patterns such as two stripes. 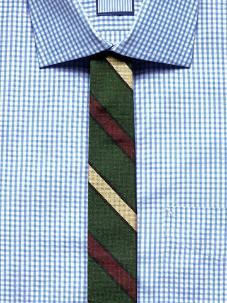 Although the overall ensemble is artfully arranged, the tie bar stripe design almost duplicates that of the shirt, forcing the eye to work overtime and strain for focus. 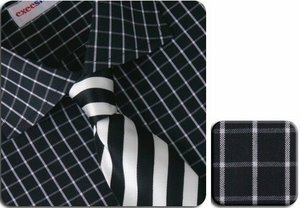 Negative example of matching ties and shirt. The similar scale of stripes on both fabrics will cause eyes to wander and create a hypnotic effect on your viewers to fall asleep and have a headache. Not a desirable side effect. 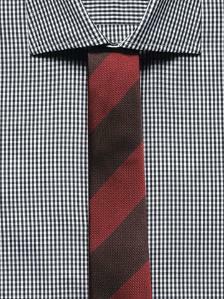 It is slightly more difficult to mate two checks than two stripes. It requires more skill and finesse. However, the difficulty can be also kept at bay by observing the simple rule of keeping the sizes of the checks at a high contrast, match large and small checks together. Great example of matching two checks. Take no chances of the two clashing, keep the checks about as different in size as a fillet mignon and a porterhouse steak. Another positive example of matching two checks. Note the tremendous difference in scale of checks. 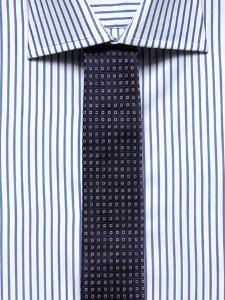 There is no confusion to the eye where the shirt ends and the tie starts. When two similar sized checks are placed together, the overall effect causes confusion for the eyes. Furthermore, observers find it difficult to look and admire your chiseled faces when the battle is right below it. On the left, a poor example. 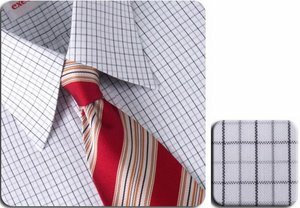 Stay away from analgous colors when wearing the same patterns. On the right, a more distint difference in scale gives relief to the eyes, although the colors chosen are still not optimal. While scale was the primary weapon to distinguish between similar patterns, in the case of unlike patterns, scale must be employed to harmonize them by keeping them close in size. 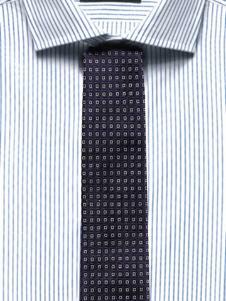 A dominant patterned dress shirt requires a necktie with a design at least equal in scale, otherwise, the strength of the shirt will overpower the necktie. 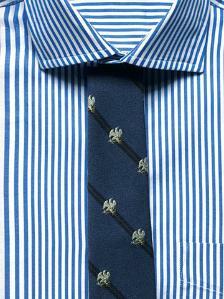 When in doubt about coordinating a second prominent pattern with a first, choose a larger rather than smaller design. When you are wearing two minute designs, the vibrating effect causes headaches in anyone who looks at you longer than 30 seconds. To safeguard their optical health when wearing tiny designs, one design must be significantly larger. Miniature scales forces the eyes to work overtime to avoid a blur. The techniques of mixing three different patterns and more are diverse, complicated and more for the dedicated dandy. 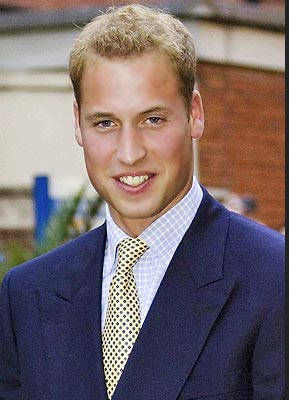 They are out of scope for the purpose of this website, which is focused on office dress shirts. For more information, refer to the selected bibliography.